Now that the initial euphoria of the release of five Americans from Iran is beginning to fade, the magnitude of just what the United States had to give the Iranians to secure their return is beginning to sink in. For the five American families, who are justifiably rejoicing as their loved ones return home, no price was too high. For the country, however, it may be a different story. Obviously, everyone is happy that the five have been released. Everyone believes that they were detained as political pawns by the Iranian regime, regardless of the drivel put out by the Islamic Republic's tightly-controlled press. This image shows how the four released Americans are being portrayed in Iranian social media. Note the description of the four as spies. That's the good; the only good - we got back five Americans who were in reality hostages. 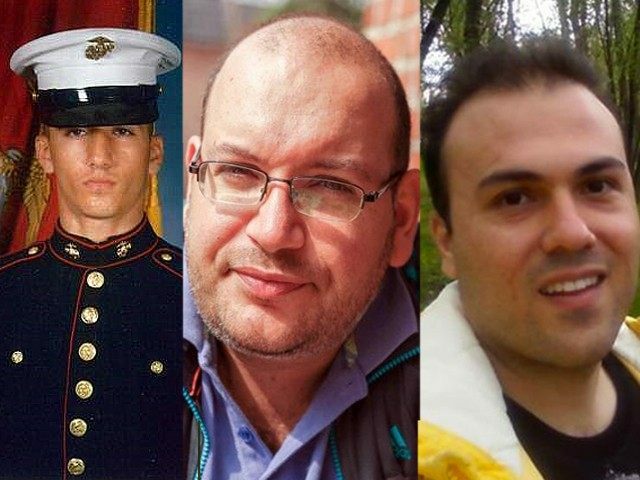 In order to secure the release of these unjustly detained and imprisoned Americans, the Obama Administration agreed to release seven men who had either been indicted or convicted of actual crimes in actual courts of law - yes, unlike in Iran, due process in a legitimate criminal justice system. These seven men were accused and/or convicted of crimes against the United States, primarily violations of the sanctions imposed by the United States on Iran for its refusal to adhere to international agreements. All seven were working in support of Iran's illicit nuclear weapons and ballistic missile programs. Of the seven, six hold American citizenship in addition to being Iranian citizens; the seventh is an Iranian national. Not only did the Administration pardon seven indicted or convicted felons and agreed to deliver them to an airfield in Switzerland to exchange them for the four (which turned out to be five) Americans, but the US government dismissed charges against 14 other Iranians resident in Iran who were under indictment in the United States. Most of those were accused of sanctions violations, although there are unconfirmed reports that some of them were involved in terrorist activities. Additionally, the Administration agreed to release $400 million of Iranian funds frozen in the United States since 1981. However, with accrued interest - you can't make this up - it totals $1.3 billion. Who is making these deals? None other than Secretary of State John Kerry, the same John Kerry that caved to virtually every Iranian demand that resulted in the unverifiable nuclear deal with Tehran. Six of the seven felons pardoned by the Administration are American citizens and thus can remain in the United States to resume their efforts on behalf of the Islamic Republic - including procurement of materials and technology for the illicit nuclear and ballistic missile programs. Yes, I said nuclear - if anyone believes that the Iranians are not covertly seeking a nuclear weapons capability, either alone or in concert with other pariah nations (North Korea comes to mind), they are deluding themselves. It is a capability the Iranians believe will give them strategic parity with Israel and its nuclear arsenal. Although the Iranians and the Americans insist that the negotiations for the nuclear deal and the prisoner exchange were independent but parallel, no one believes there is no linkage between the two. The freed Americans were not permitted to leave Iran until the International Atomic Energy Agency certified Iran as being in compliance with the nuclear agreement. One thing that this deal has not resolved is the status of former FBI agent Bob Levinson, missing since he went to Kish Island in 2007. The circumstances of his disappearance have yet to be determined, but I find it hard to believe that the Iranians are not aware of what happened to a former FBI agent visiting Iran. In addition to the $1.3 billion gained from the prisoner exchange, Iran stands to reap a windfall of over $100 billion once the country is certified as in compliance with the nuclear agreement. Given the virtual capitulation of Secretary Kerry, the certification was a foregone conclusion whether or not Iran actually lived up to its commitments. Let's compare how this worked out. The United States pardoned seven of Iran's nuclear and ballistic missile materiel and technology procurement agents in American custody. The Americans also paid Iran $1.3 billion in cash. All seven Iranian agents chose to remain in the United States, possibly to resume their efforts on behalf of the Islamic Republic. Further, the United States dismissed felony charges against another 14 Iranians resident in Iran, thus vacating the Interpol red notices (basically an international arrest warrant) preventing their international travel - they are now free to resume their nefarious activities on behalf of the Iranian regime. On top of that, being in compliance with the ill-advised nuclear deal, European Union sanctions have been lifted, over $100 billion dollars will find their way to Tehran, and Iranian oil will again be on international markets, complicating a market currently experiencing an oil glut. 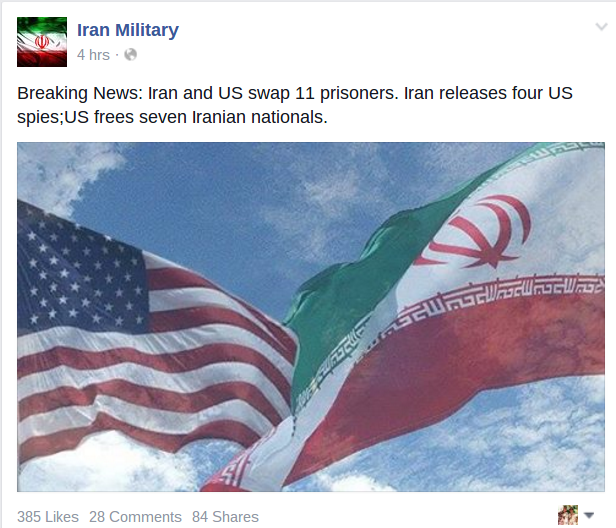 For all of that, Iran released five virtual hostages whose only crimes appears to be being Americans present in Iran. It seems to me that the Iranians got the better of both deals with the United States. Why any American, even an Iranian-American, would go to Iran under the regime of the ayatollahs is beyond me. I have received several invitations from Iranian media outlets to visit the country - it usually coincides with the annual reporting on Iraq's chemical weapons usage in 1988 while I was in Baghdad. Given my declared (and now public knowledge) background as an intelligence officer, and revelations - thank you New York Times - of my role in the US provision of intelligence information to the Iraqi military intelligence service in the last year of the Iran-Iraq War, I might be a candidate for a stay at Evin prison. When I heard that the fifth American to be released as a so-called gesture of good will was a young student, my first thought was, what possessed an American with what appears to be international and regional experience to visit a Shi'a theocracy - sorry, an Islamic Republic? Sometimes you cannot protect people from their own stupidity. If any more Americans travel to Iran under this current regime, they should be on notice that they are on their own - we will no longer make these lopsided deals to save them from their preventable misfortune. Iranian detention of US Navy patrol boats and crews - what happened? Iran released 10 US Navy sailors and their two CB-90 riverine command boats (RCB, a Swedish-designed fast patrol boat) after they strayed into Iranian territorial waters in the Persian Gulf near Farsi Island. Farsi Island is located in the middle of the Persian Gulf and is used exclusively by the Iranian Islamic Revolutionary Guard Corps (IRGC) Navy as an intelligence and surveillance facility. The IRGC is extremely sensitive to anyone approaching the island - the screen capture above is indicative of that sensitivity. There are a host of questions raised by this incident. First, what were the exact circumstances of the intrusion into Iranian territorial waters? According to the Department of Defense, the two boats were transiting from Kuwait to Bahrain (headquarters of the US Fifth Fleet). I accept that claim at face value - if the Navy was probing the Iranian defenses on Farsi Island or were conducting reconnaissance of the IRGC facilities there, they certainly would have used different and more capable assets than two undermanned patrol boats (they can carry a crew of up to 20 sailors). The Iranians claim that at least one of the RCBs suffered "mechanical problems in their navigation system" and the crews acted "unprofessionally" before being detained. The US concurred that there was a mechanical problem with one of the boats. I am not sure what the Iranians mean by "unprofessional" - I assume they needed some excuse for their unnecessary treatment and humiliation of the American sailors. The Iranians certainly did nothing to render assistance to a vessel in distress - detaining the crew and boats was a provocation. Why would the IRGC Navy want to provoke an incident with the US Navy? I think it has much more to do with internal Iranian politics than the ever-present tensions in the waters of the Persian Gulf. Even the aggressive IRGC does not really want to get into an armed confrontation with the US Navy - especially at a time when the Iranians are trying to finalize the deal on their nuclear program that will be an economic godsend for the Islamic Republic. That said, the IRGC represents the hardliners in the country, conservatives that do not want an agreement with the West that curbs their efforts to acquire nuclear weapons. Anyone that believes the IRGC and other hardliners do not eventually want to acquire a nuclear weapons capability is wishing against hope. Their program is perfectly sized for weapons development and much too modest for meaningful energy generation - coupled with their relentless research and development of medium and long range ballistic missiles. There is tension between the hardliners and the "moderates" (an interesting term to use when describing leaders of the world's major state sponsor of terrorism). Over the past few years, the moderates have held sway, as it appears they did in the resolution of this incident. Foreign Minister Javad Zarif - primary architect of the nuclear deal - defused this incident by claiming that the Americans apologized and arranged for orders to be issued to the IRGC to release the two vessels and their crews. The IRGC statement: "The U.S. Marines [sic], who entered Iran's territorial waters yesterday, were released because it has become clear that their entry was not intentional and after they apologized for the move." Both Vice President Joe Biden and the State Department spokesman denied that there was an apology. While it may be true that Biden or Secretary of State John Kerry did not apologize, there was probably some form of regret given to the Iranians, likely from the senior officer or noncommissioned officer among the 10 who were detained. If making a statement was all that was needed to insure the safety of the crews and it admitted no wrongdoing, why not apologize and put this behind us? The senior officer's primary duty is the safety of his personnel. UPDATE: Shortly after I wrote that last paragraph, the Iranians released a video in which the senior US Navy officer being detained by the Iranians did offer an apology while not admitting any wrongdoing. - Why were the ships transiting so close to Farsi Island? The distance between the island and the western littoral of the Persian Gulf at that point is in excess of 50 miles (see above map). These are river/coastal patrol boats, not fleet combat units. - If the two boats were transiting close to Farsi Island (for whatever reason), Iranian sensitivity about the IRGC facility is well-known. Why were the ships not part of more potent formation, or why was there no accompanying aerial assets in the area? Why were the boats so lightly manned? - Once one of the RCBs experienced a mechanical problem, what was the exact sequence of events? Was it possible to stop and avoid entering Iranian waters while awaiting assistance from other US or allied assets in the area? - Once approached by the IRGC gunboats, did US authorities contact the Iranians to explain the problem, request assistance and/or prepare to protect the American sailors? What are the standard operating procedures when US Navy vessels are confronted by the unpredictable, aggressive IRGC? Something went wrong yesterday in the Persian Gulf, mistakes were certainly made - putting 10 US sailors and two armed patrol boats at risk. Once the sailors are debriefed, perhaps the Navy will tell us what happened and who will be held accountable. 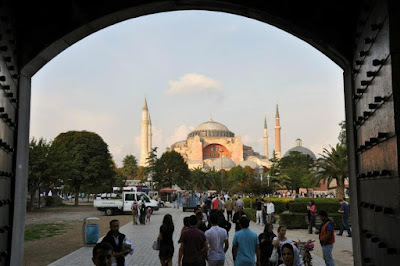 According to Turkish authorities, a Syrian member of the Islamic State in Iraq and Syria (ISIS) detonated a suicide bomb in a park between two of Istanbul's major tourist attractions - the Haghia Sofia and the Blue Mosque (officially the Sultan Ahmet mosque). Many Americans have been to this park while visiting arguably two of the most visited sites in the world - over 24 million people toured them in 2014. I took the picture above across the park in 2011 - the explosion occurred on the left of the frame, behind where the white truck is parked. This BBC map shows the locations of the three venues. Ten people were killed in the blast, including nine Germans - 15 other people (nationalities unknown) were injured. The tenth fatality was a Peruvian tourist. Germans make up the largest group of tourists to visit these sites - over five million per year, or about 20 percent of the total. ISIS's targeting of a major tourism venue in Istanbul was not coincidental. Tourism is one of the easiest sources of revenue to disrupt - one need only look at the tremendous losses incurred by Egypt and Tunisia in the wake of sectarian violence. Turkey has suffered as well, with 2015 revenues estimated to be about $30 billion, down almost 15 percent over previous years. Although there have been previous ISIS attacks in Turkey, those targets have been aimed at either Turkish or Kurdish targets. 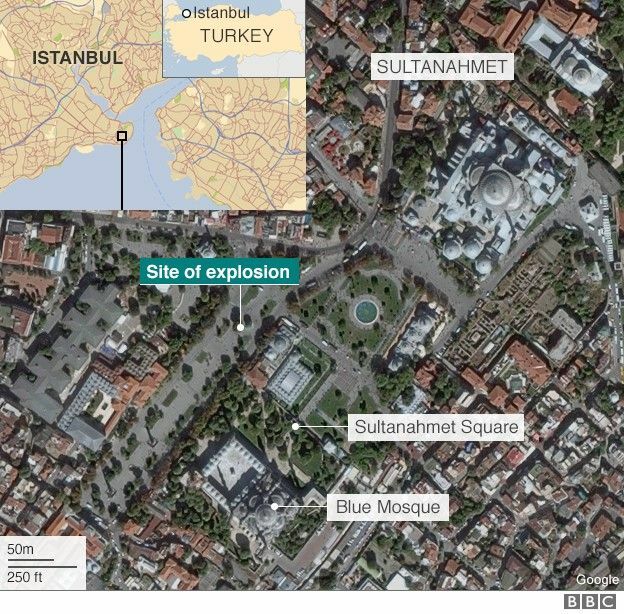 This attack on a clearly tourist venue marks a shift in ISIS's focus in Turkey. 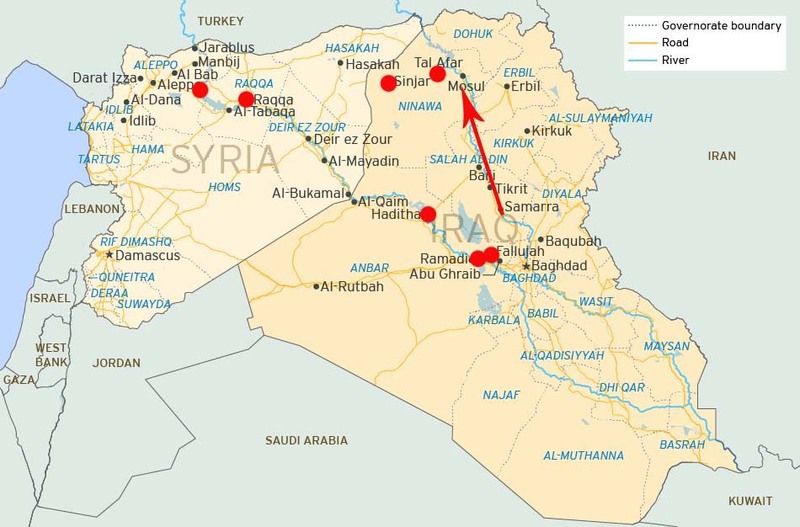 Turkey is a priority target for ISIS - in the past, the Turks were not as strident in closing their often porous border with Syria, resulting in thousands of fighters transiting Turkey into Syria, including many from Western Europe. With the Turks reacting to Western pressure to more tightly control their borders, the flow of foreign fighters - necessary to replenish ISIS's substantial manpower losses - has been stemmed, but not stopped. Also, the Turkish government last year opted to allow the United States and other coalition countries to use its air bases located just north of Syria - including the large NATO facility at Incirlik - reducing the flight times from takeoff to target to mere minutes rather than a few hours. The airstrikes have taken a toll on ISIS - they are attempting to punish Turkey for aligning with the U.S.-lead coalition. With this attack in Istanbul, ISIS is not only striking at Turkey, but at the West. I doubt that the suicide bomber knew that he would be killing Germans - I assume he was simply attacking westerners - Europeans and Americans. In its own twisted manner, ISIS's selection of a tourism venue hit both Turkey and the West. Turkish leaders claim that this attack only strengthens the country's resolve. I hope that is true, even though they will pay an economic price. 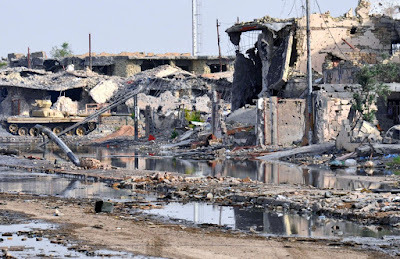 Now that the Iraqi security forces have retaken the city of al-Ramadi (Ramadi) from the fighters of the Islamic State in Iraq and Syria (ISIS), the Iraqi leadership has set its sights on the liberation of al-Mawsil (Mosul), the country's second largest city. Mosul has been in ISIS hands since the group seized the city in June of 2014 - with almost no resistance from a large Iraqi Army force in the city that collapsed in the presence of the ISIS fighters. The battle to retake Mosul from entrenched, motivated ISIS fighters who have had 18 months thus far to prepare their defenses will not be easy. Although Iraqi senior military officers assert that they will recapture Mosul by the end of 2016, I have doubts that the Iraqi forces will be in a position to launch an attack that soon. Before the Iraqis move north for a battle to retake Mosul, they first must consolidate their control over al-Anbar province. That means retaking the city of al-Fallujah (Fallujah), just over 35 miles west of Baghdad, and securing the strategic dam and city of Hadithah, 90 miles west of Ramadi. Almost immediately after ISIS began its retreat from Ramadi, the group launched an attack on Hadithah - the area is now contested. This underscores ISIS's continuing ability to mount offensive operations despite recent setbacks. Before we talk about the challenges the Iraqis will face in mounting an operation to retake Mosul, let's look at some factors that worked in their favor in the battle for Ramadi. The Iraqi Army has undergone a fundamental transformation since the virtual collapse of their forces in 2014. The American-provided training has refocused the Iraqi military from counterterrorism and asymmetric warfare to more conventional force-on-force fighting. Rather than treating ISIS as a group of terrorists, the new Iraqi model is to deal with them as an opposing army. Although ISIS uses terrorist tactics - suicide bombers and vehicle-borne improvised explosive devices in large numbers - they have been integrated rather effectively into conventional military operations to take and hold territory. To complement the new operational focus, the Shi'a-dominated Iraqi government under Prime Minister Haydar al-'Abadi has moved beyond the short-sighted policies of the Nuri al-Maliki administration, at least in the retaking of Ramadi. Unlike the earlier battles in Tikrit and Bayji, the Iraqis did not rely on the Iranian-backed - and I suspect Iranian-led - Iraqi Shi'a militias to do the bulk of the front-line fighting. In Ramadi, the Iraqi Army's elite units and the independent Iraqi Counterterrorism Service were supported by Sunni tribesmen from the local area. Keeping the Shi'a militias out of the fiercely passionate Sunni heartland was wise. This proved to be a winning combination - accommodation of the Sunni tribes is absolutely necessary for the political future of the country. If Iraq is to survive as a country in its current form, the disparate factions have to have a say in the governance of the country, despite pressure from Tehran to marginalize the Sunni Arabs and Kurds. The fight for Ramadi is not over, but the Iraqis seem to be on the cusp of securing the area. The remaining pockets of resistance will be cleared, albeit slowly because of the hundreds of explosive devices left behind by the retreating ISIS fighters. With the inclusion of the local Sunni tribes in the operation, the Iraqis have an excellent chance of retaining control of the city. Once al-Anbar is secured, or deemed secure enough that Ramadi and Fallujah are firmly under Iraqi control, the Iraqis will have to begin the effort to move north and recapture Mosul from ISIS. Mosul is ten times the size of Ramadi and 250 miles north of Baghdad on the Tigris River. Retaking Mosul will require a huge logistics effort - virtually all of the military materiel will have to be moved up the Tigris Valley to an area south of the ISIS-controlled area. The Iraqis will then have to fight their way to Mosul and then begin the slow, painstaking operation to clear ISIS from a city they will have had over two years to prepare to defend. ISIS knew at some point they would have to fight to keep Iraq's second largest city. This will take much longer than the Iraqis think it will. However, there are things that will make it easier - thanks mostly to the Kurds. The recent operations by the Kurdish peshmerga forces to retake the city of Sinjar and pressure Tal'afar will strain ISIS's supply lines between its facilities in Syria and Mosul. Additionally, in Syria the newly-formed Syrian Defense Force - a loose alliance of Syrian Kurds and Sunni Arabs - has seized control of the Tishrin Dam on the Euphrates River east of Aleppo, again straining ISIS supply lines to the Turkish border. Things may have turned around in Iraq - Ramadi is a good first step after rocky starts in Tikrit and Bayji. It will be a long, hard fight, but there is a reasonable chance that the Iraqi Army, Counterterrorism Service and the Kurdish peshmerga will prevail in time. After the Iraqis re-establish control over their territory, then the fight to eradicate ISIS must turn to Syria - a much more difficult and confusing problem.